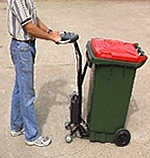 Rehtek is the service and repair agent for ALL types of Aged Care and Hospital equipment. Ensure your motorised equipment is operating efficiently and effectively. We can provide regular servicing to reduce the risk of breakdowns or injury to staff. Contact us to find out you can save $$$$!